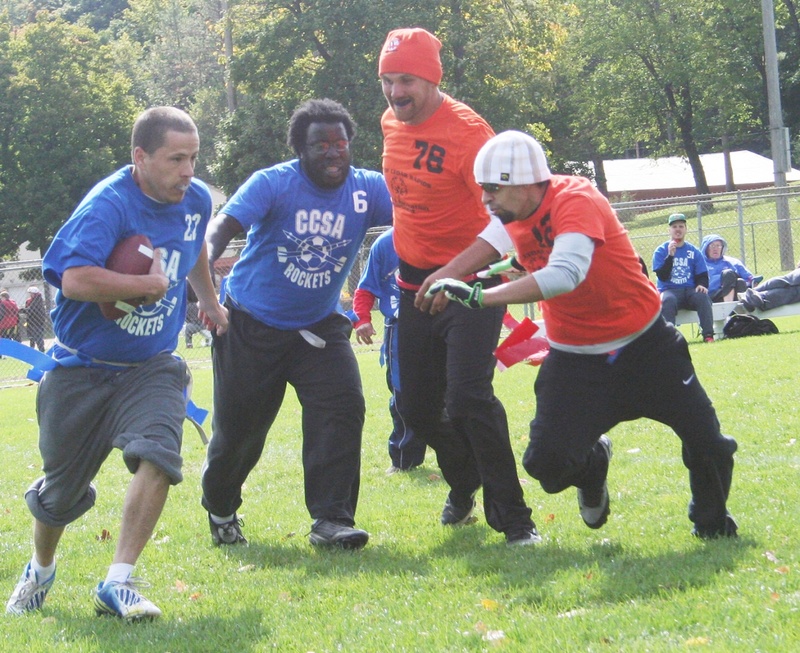 Punt, pass and kick…the Special Olympics Iowa State Flag Football Tournament gives athletes of all ability levels the chance to play America’s game. It is the newest state competition, with the first tournament held in 2011. Level 1 (High): Plays by regulation rules. Team members have high to excellent skills and athleticism, implement strategies and run specific plays. Several players can catch a pass while running and react to the way the other team plays. A quarterback with an accurate and strong arm and a defense able to play aggressively, without being physical, are key attributes of the team. Level 2 (Average): Plays by regulation rules. 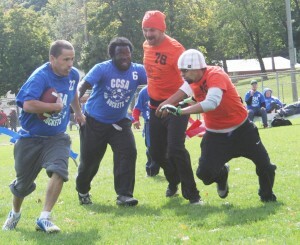 Team members have average skills and athleticism, some strategy and run general plays. A couple of players can catch a pass while running and may have limited ability to react to the way the other team plays. A quarterback with an accurate or strong arm is a key attribute of the team. Members of the defense may have difficulty playing aggressively without being physical are common at this level. Level 3 (Low): Following rules is a challenge. Low skills and athleticism, little strategy and no organized plays. Players are not able to catch a pass while running and are not influenced by the way the other team plays. A quarterback with limited accuracy and arm strength will fit on this team. Defensive skills are limited.